Here's my warrior priest. I'll update him as I get feedback. Heinrich was born in Reikland province, in the town of Bogenhafen, to a moderately wealthy merchant family. As the youngest of four brothers he was never really expected to take over the family business, never the less he did learn the basics of reading and writing should something have happened to his elder brothers. Heinrich later joined the military and underwent rigourous training. This eventually lead to a successful career that, had he stayed on that path, would have lead him to becoming a Greatsword. However, the Cult of Sigmar had other plans for the young man and he became a neophyte warrior priest. Responsibility - Cult of Sigmar: As a warrior priest of Sigmar, Heinrich's first responsibility is to his church. Honour-bound: The teachings of the Cult of Sigmar value honour above all and as an exemplar of his faith Heinrich has been taught to always conduct himself honourably. Last edited by HenshinFanatic on Thu May 09, 2013 2:05 pm, edited 5 times in total. Elves, dwarves, halflings, ogres and etc. sure, as long as the species could be reasonably assumed to be wandering the empire and be more or less accepted. Combined attack manuevers, I don't see why not. After all, there's always a trade off. How you you want to handle gear? Is a chainmail coat (toughness 3) 3 points of Equipment (and therefore 0.6 pp) or is it a removable Device (Toughness 3, Flaw: Removable 2.4pp)? If you are going Equipment. are you going to break it down, where (for example) Leather is good against Bludgeoning, Mail is good against Cutting, and Plate is good against Piercing, and to be protected against all 3, you'd need to wear all types (as medieval knights were likely to do)? What are your thoughts on Minions? I'm toying with the idea of a Knight who would have a Warhorse as a minion. Alternatively, I'm thinking of rolling a Squire, who would be in service to an inept Lord (although technically "the boss" purchased as a Minion). Originally I was leaning towards a Witch Hunter, but someone has already called that. Alternatively, no one has made any noises about non-humans, and I am a fan of Halflings. Gear: Anything non magical counts as equipment. I'm happy for you to bend the traditional scope of equipment a little bit, I've been looking over warriors and warlocks for some inspiration. I'm not going to break armour up into types, that's needless over complication. Minions: Minions are probably going to get killed by something at some point. If you're minion constitutes a generic bodyguard or a generic horse then sure. But if you're looking to make a squire working for an inept lord then sidekick might work better simply because otherwise the squire probably won't have a lord for very long. @Fell lord- If you wonna go witchhunter go for it, I said it be for but with the option of a Ogre I'm gonna go for that. Terrible Ogre jokes I warn you TERRIBLE!!! 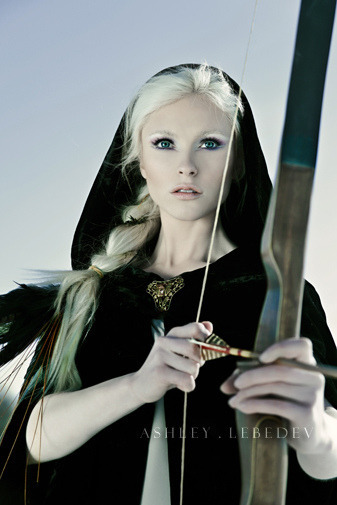 I'm thinking about an ice sorceress, Handmaiden (aka spy) for the Tzarina of Kislev, the frozen Northern lands. Sound possible? I'm not well versed in Warhammer fantasy, but I researched this on the wiki and it sounded interesting. I Got my build! If anyone can get a Terrible Ogre name I'm looking for one. Bulk Vanderhuge is large and strong even for an Ogre, born in the Moot, the Halfling people were nice to him and his mother. They always made an effort to say hello, due to there kind nature they spoke Reikspiel to me so I never picked up Halfling but they did teach him to read. However due to this time spent in the moot he learnt of the Halfling holy day "Pie Week" and it is his favourite. Prejudice: He's a Ogre, seen as a brutish thug by most people. Motivation: Protect Mr Bite'ums He is the best dog! I like him! Bulk Vanderhuge wrote: "This is Mr Bite'ums he is my dog he is the best dog in the world because he bites people!" Bite +8 Toughness DC 19. Totals: Abilities 8 +Advantages 3 + Skills 7 + Powers 7 + Defences 5 = 30 points. Last edited by deathsap on Wed May 08, 2013 1:52 am, edited 7 times in total. Cool so for potential party members we have a warrior priest of Sigmar, an inquisitor/knight/halfling, an ice sorceress and a ogre. That said, I quite like mr bite ums and I look forwards to using the phrase Bulk's bulk. I'm putting together a swordsman, just trying to decide if i shall be scholarly or outdoorsy. Viriella's story begins when a Gospodar woman is taken as with by an accomplished Ungol horseman. Dissappointed not to have a son, he raises his daughter to the ways of mounted archery and the soldier's life. The day that her mother found her spitting on a freshly swept floor the woman had had enough. She dressed Viriella as a young girl and took her to a Choosing they were having in the village where an Ice Witch was testing the girls for the Ancient Widow's Touch. Viriella's mother knew how rare it was but wanted to do something to counterbalance her father's crude influence. Viriella was taken away on the spot. Last edited by flynnarrel on Wed Apr 17, 2013 2:18 pm, edited 3 times in total. I had been debating what I wanted to play, and since I didn't have a solid plan, I think it works better for me to build my choice around what the rest of the players have submitted, for niche control and what-not. So.. we have a "cleric," a "mage," a "warrior" (Ogre) and an additional "Warrior" (Plan B's swordsman). I think what a rounded "Adventuring Party" needs most is a Rogue. I'm going to resurrect one of my World of Warcraft characters for this, I think... Dwarven Rogue Greidi Blackmane. Greidi is like Heidi, only pronounced Greedy. She is entirely motivated by cash, and is mercenary and amoral. You could also go Dwaven Engineer and be like welcome to inventing! Or the ever classic Tomb Robber! Also, Mages in Warhammer seem like highly specialized things with the different circles of magic and such. Viriella is definitely not a traditional Empire Mage. Technically, she'd be considered a priest in the empire (which is the get around for not been set a light or shoved in one of the colleges), been a Kislev ice witch. Might want to squeeze a level of language in that build though. Ah, what are the languages of the Empire, I couldn't find it on the wiki? Edit: Is the Ogres list the complete one? And... all that for three points? Cool!